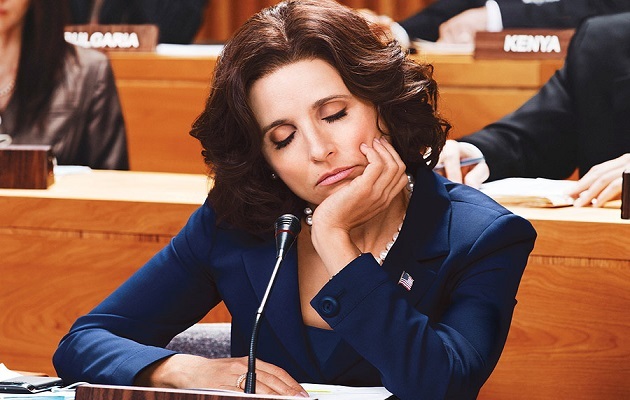 HBO has announced that it has renewed Veep for another season. Political satire Veep first premiered in April 2012 and was created by Armando Iannucci as an adaptation of the British sitcom The Thick Of It. It’s set in the office of Selina Meyer (Julia Louis-Dreyfus), a fictional Vice President, and later President, of the United States. The series follows Meyer and her team as they attempt to make their mark and leave a lasting legacy without getting tripped up in the day-to-day political games that define Washington DC. Veep recently premiered its sixth season, which runs until June 25. Now, according to Variety, HBO has commissioned a seventh season of the show, which is slated to air in 2018. In the same announcement, Silicon Valley has also been renewed for a fifth season. Meanwhile, Julia Louis-Dreyfus recently revealed that the Democrats wanted her to run for office in the US. The former Seinfeld star said that she had been “approached” by “top Democrats” about potentially running for office. Her response was “not in a million years”. The post ‘Veep’ renewed for seventh season appeared first on NME.